....in this case has a teeny weeny lathe and knows how to use it. 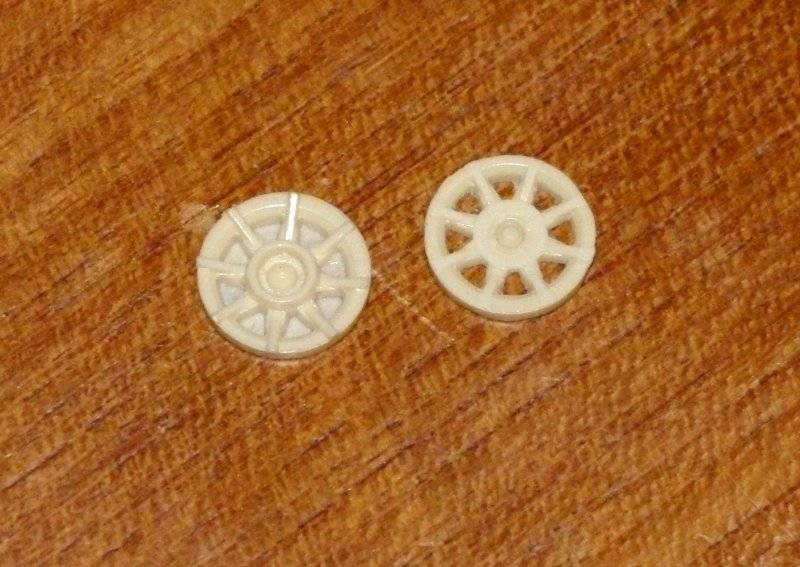 The only 8 spoke inserts I could find came from Oz, courtesy of Fred Zenrat who pointed me to the Parts Box shop there and they had almost the correct stuff, but not quite. 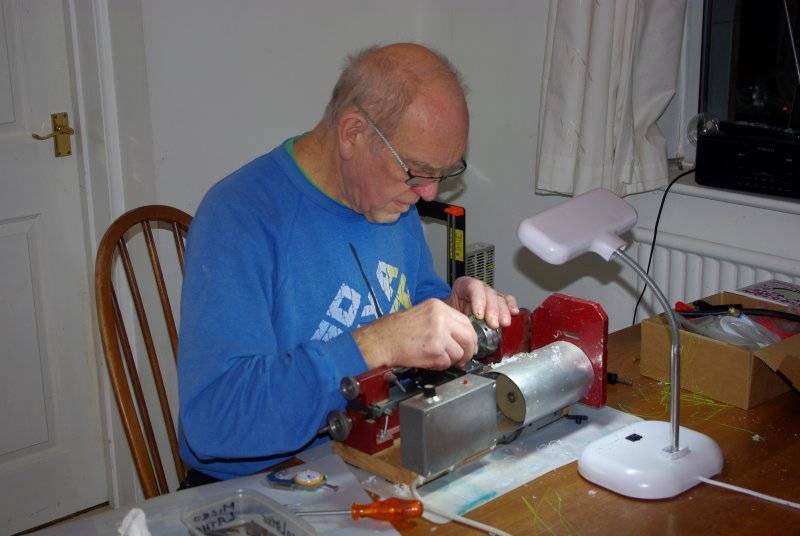 Enter my mate Pete, him working on the tiny lathe below, who whipped my inserts down to shape on no time flat, and is now working on making some wheels the correct width out of some MONSTER Fujumi wheels that I had in The Loft. 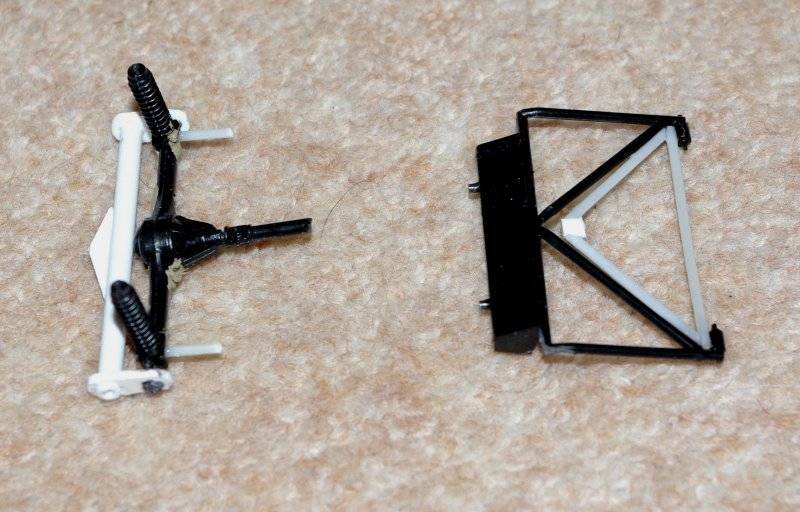 Here's the before and after images of the inserts, as purchased on the left and as modified on the right. I'm dead pleased, as you can imagine. I'm not sure I've seen a lathe that small before ? As an aside, given how small it is, does your mate still have all his fingers and are they all intact ? Haven't used a lathe since "O" Level Metal Work back in 68. 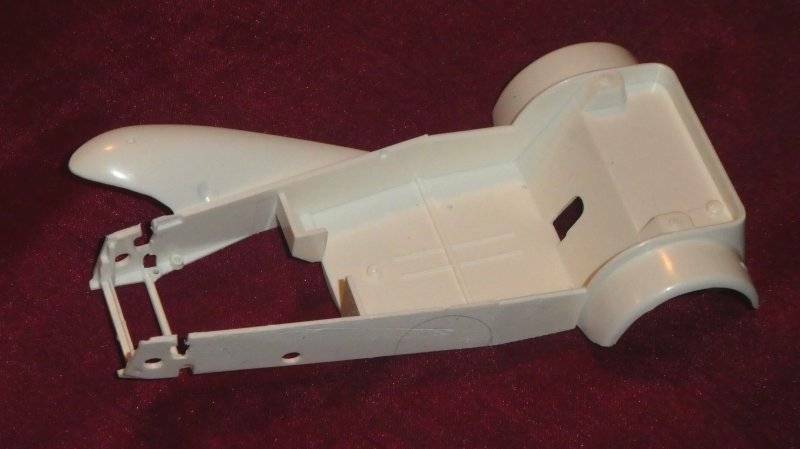 Getting the wheels right is often the trickiest part of building a model of a real car. Very nice, I have been tempted to buy myself another small lathe, as I want to make more gun barrels for tanks and howitzer's etc. I sold my mini myford when I had to drastically down size for a move. I've got a small lathe (cheap Chinese one with 300 mm between centers) which I enjoy using, but I don't use it that often. I mainly use it to make rocket parts. I found PVC is a really nice material for turning, provided you don't go too fast. I will have a look at one of those, do you have any details or pictures of it Hobbes. I Will also need space for it too, which I don't have a lot of in my current abode. I quite enjoyed making them with an electric drill, but it got quite hairy on occasion. 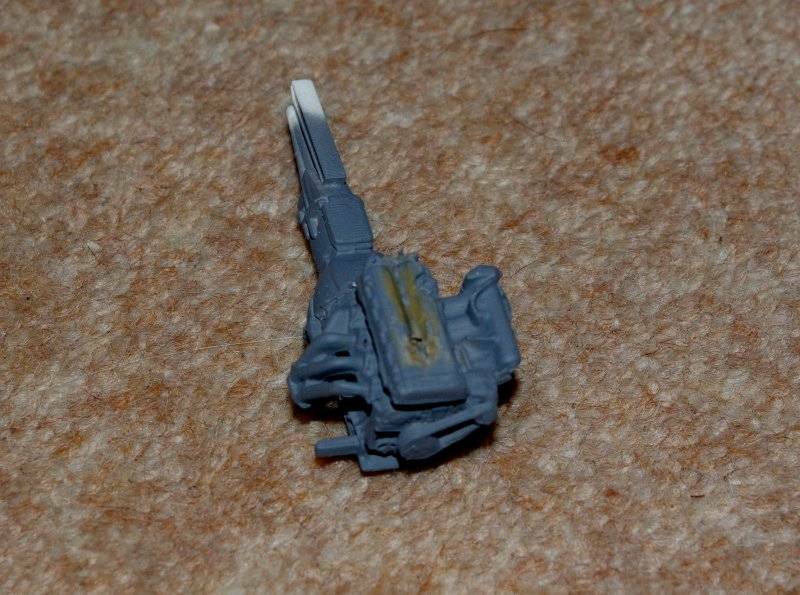 I've also used a cordless drill (with fully variable speed) to turn small pieces, mostly for grinding a tip on brass or styrene rod (to make missile shapes). I've got drawings for a clamp that fits around a drill, to stabilize it so you can use it hands-off. Haven't gotten round to building that yet though. I'll morph this thread into an RW build for the Caterham. As the original Tamiya kit is for a Lotus Super Seven and my brother's car is, or was, a Caterham Seven HPC, there's only a superficial resemblance between the two so it 's needed a LOT of modifications and some scratchbuilding too. To start with the body is too short as all Caterhams now use the long body chassis, so I sawed it in half and added a 3 mm spacer. The engine in the RW car is a Honda Civic Type R B18 engine, which our very own Fred Zenrat found I could get in resin from a company in Japan. RESULT, and thanks Fred. 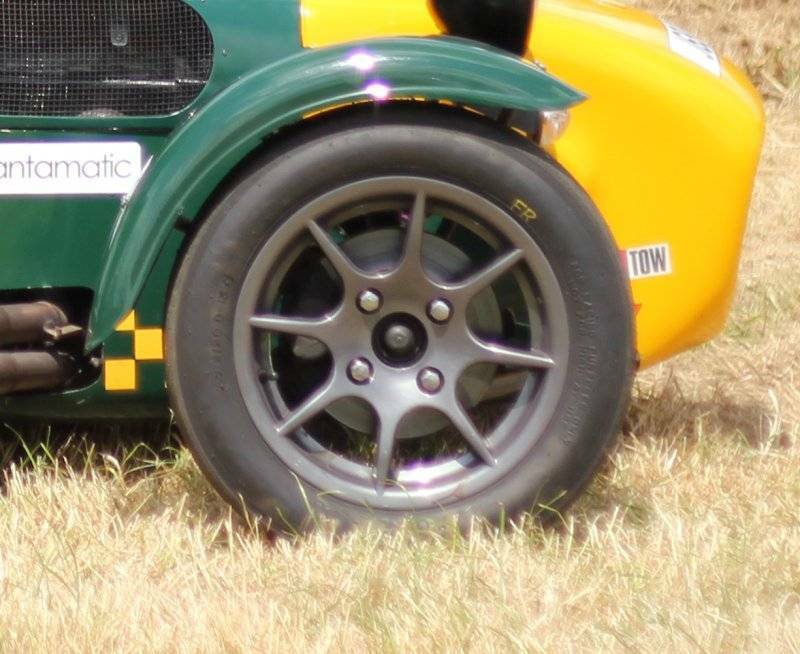 The wheels I've mentioned above, but the rear suspension on the HPC car is a de Dion type, unlike the live axle supplied in the kit, so I modified it. Here's some pics of the work I've done so far. This is the original body shell with one of the swoopy wings sawn off, the RW car has motorcycle style front wings so they had to go. 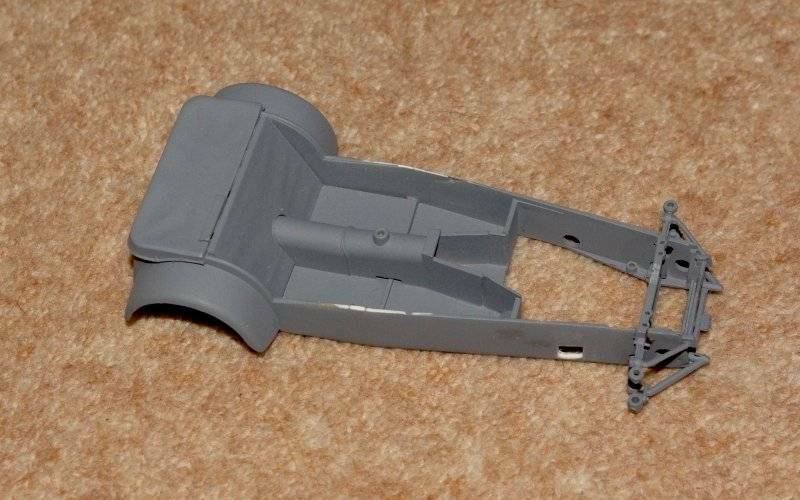 Then the lengthened shell, minus wings and plus the tonnau cover and other cockpit stuff, and it's had a PSR session and one coat of primer already. Here's the beautiful resin engine assembled and primered. I had to do a few mods on it as the RW thing isn't straight out of the box either. 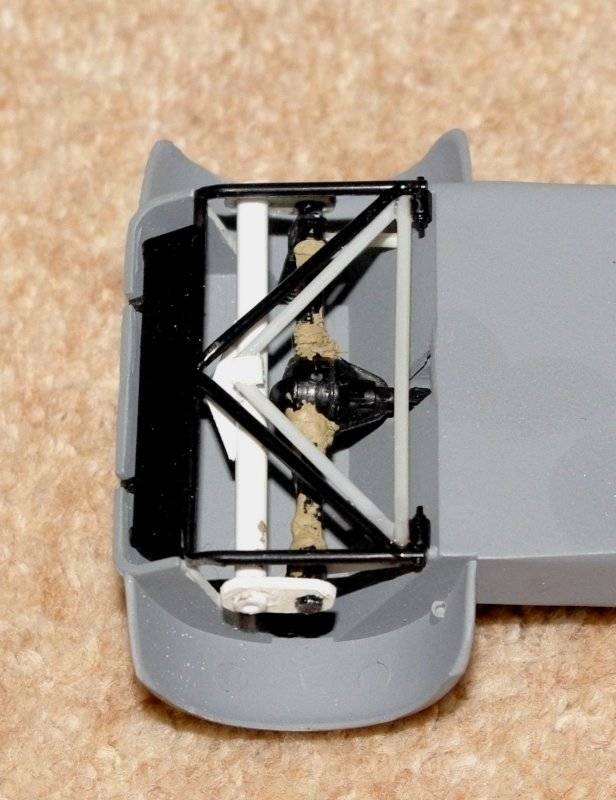 The bonnet of the RW car is just one big hole, with stuff sticking through it, so I had to REALLY hack at the kit bonnet, and it'll need some strengthening later on. The rear suspension needed a lot of work as you can see. 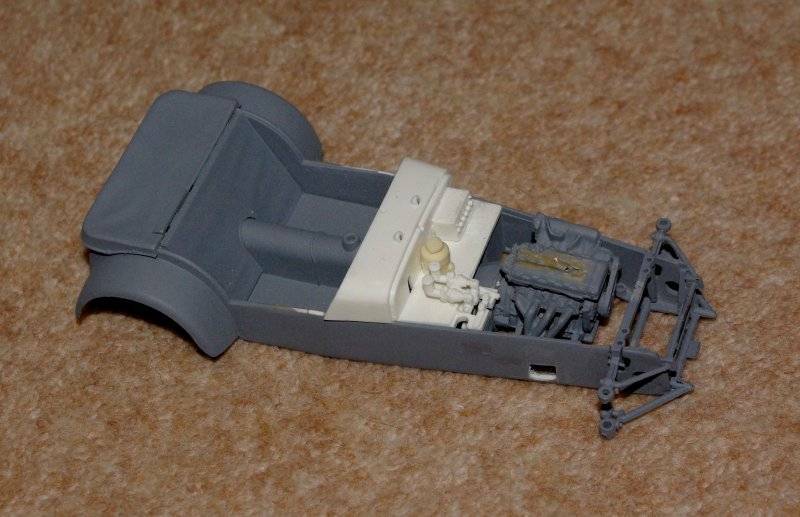 The entire de Dion assembly had to be scratchbuilt, but it seems to have gone OK. Here it is assembled into the body. Lastly here's the engine and dash panel installed in the body. I had to cut away and re-box some of the firewall as the Honda engine is larger than the Ford one in the kit, but my brother had to do that on his real car anyway. Do you have a set of cycle wings for the front wheels? 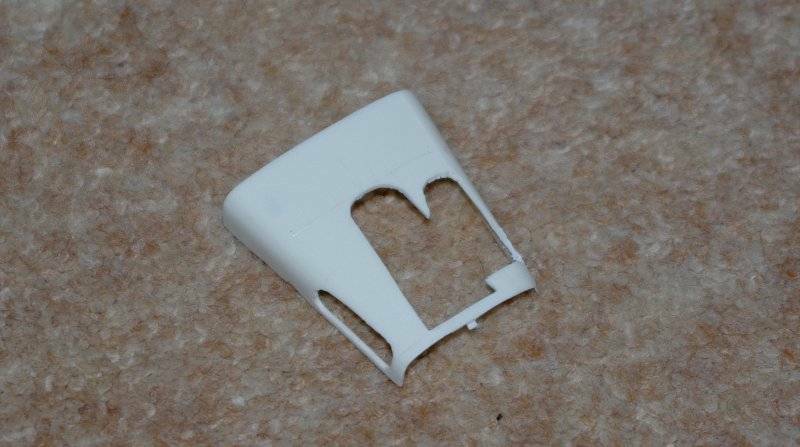 Sadly no, but I plan to scratchbuild a pair from styrene sheet and a hair dryer. Unless anyone has better ideas?